I met Hall Newbegin while co-hosting a dinner last year with a dear friend, Alexandra Foote. 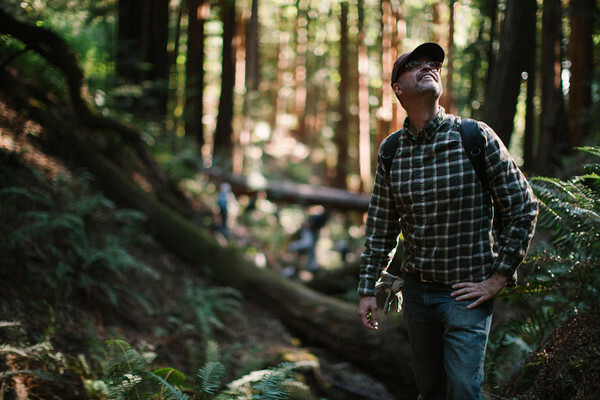 I had heard of Juniper Ridge, but really got to experience its founder that evening. Since then, I have worn his oils, used his soaps and gotten to understand some of his philosophy of translating a sense of place into something that can be embodied. For me, one of the most compelling questions I asked him is “Why capture scent?”—meaning: why him, and just plain why? Hall Newbegin of Juniper Ridge. Credit: Juniper Ridge. 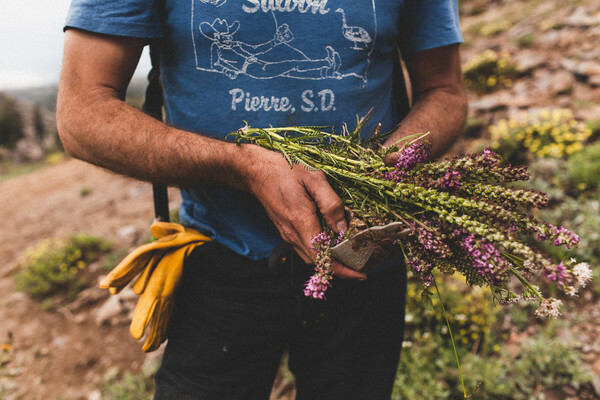 Hall Newbegin, Sierra Granite harvest, August 2014. Credit: Juniper Ridge. 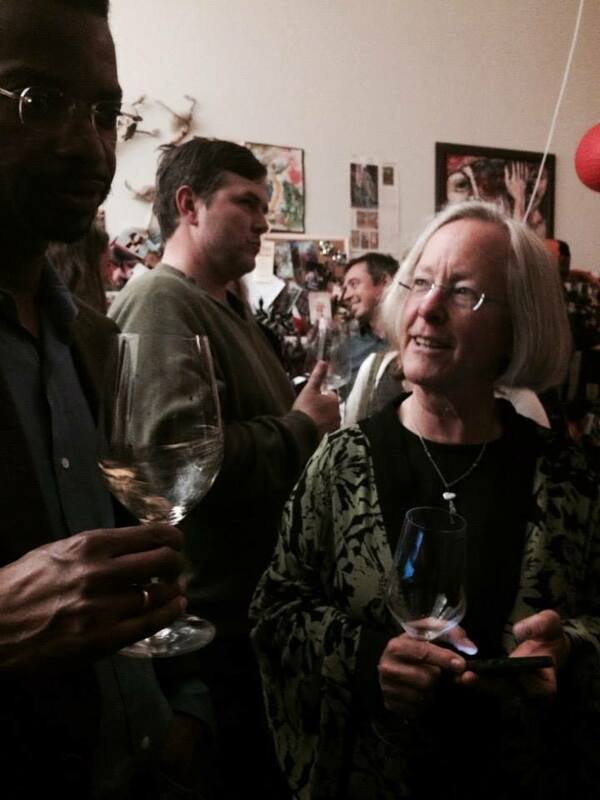 Cathy Corison and Richard Hylton, Wine Dinner #42. February 23, 2014. I asked winemaker Cathy Corison about her wine-making process and capturing a sense of place. To me, Corison invokes a sense of place, but where I first drank it, at Chez Panisse in Berkeley. I remember that first moment, and then every moment of drinking it thereafter. What I love is the thread and that consistency of knowing it is Corison…. 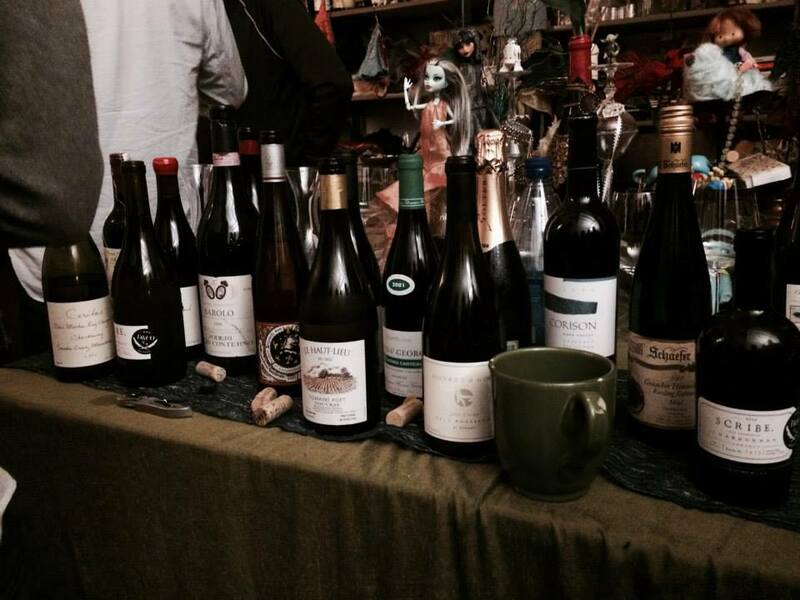 Bottles from Wine Dinner #42, co-hosted with Emily Schindler. 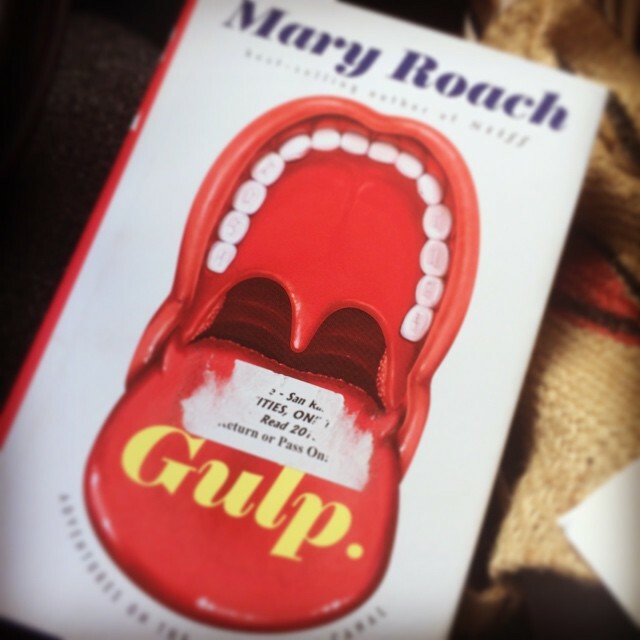 My copy of Gulp (Amazon or Indiebound) by Mary Roach. And in thinking about how these worlds and studying them changes us, I asked writer Mary Roach – known for her brilliant and provocative books Stiff (2004, Amazon or Indiebound), Spook (2006, Amazon or Indiebound), Bonk (2009, Amazon or Indiebound), Packing for Mars (2010, Amazon or Indiebound) and most recently Gulp (2014, Amazon or Indiebound)—how the experience of her research might have an effect on who she is and how she experiences the world. It’s not just about the power of the senses to evoke a past or create a new memory, but the focus of attention we give to perception itself—the way that our experiential research, or the act of actual doing and making has the capacity to transform us … It’s the way my guests educate me and remind me of what’s out there, but also to just pause for the moment and be present—through the scent of Big Sur in a bottle; the presence of my grandmother in her blue polyester muumuu; the terroir of a glass of Meurseult that instantly brings me back to Willi’s Wine Bar in Paris; white truffle olive oil on burrata, to Alba; cinghiale con pappardelle, to Montepulciano; my husband Lloyd’s pizza dough at home, to Scribe. 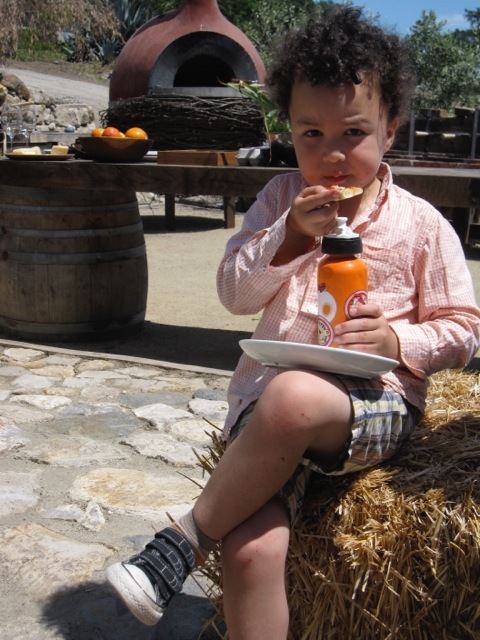 I have this image below of my son’s appreciation of his dad’s amazingly perfected dough, attached to this precise moment. August, eating Lloyd’s pizza at Scribe. Circa 2009/2010. Still from Tom Tykwer’s Perfume (2006). Exactly, where is it all going? Whether talking about smell, taste, desire, pleasure, taboo, what it comes back to in the end is the balance: of the winemaker’s hand and the sense of place from which the grapes come. That balance between past recollections and being present, the new and the old; the detail or the wide shot; that which is expected, or the beauty of the unexpected. But which holds the most power over you? I think that is the question … I end this inquiry with the quote from which writer Michael Pollan began his much-read New York Times piece from 2006, “The Modern Hunter-Gatherer.” I find it poignant. 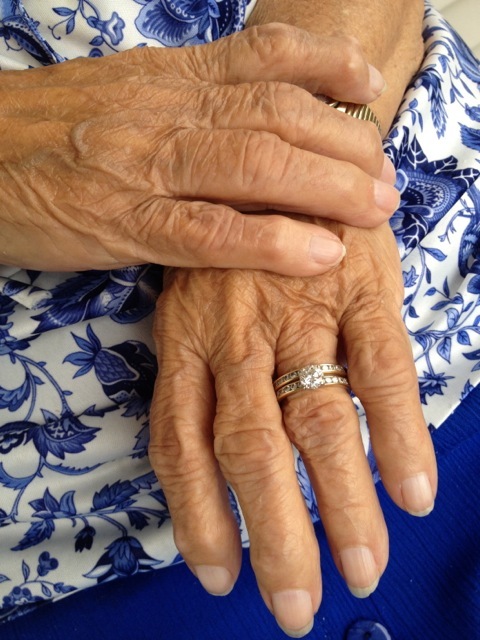 My grandmother’s hands, and her blue muumuu. 2012. 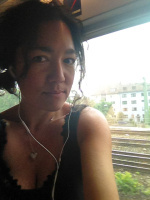 This entry was posted in Drink, Uncategorized and tagged Cari Borja, Drink, Mary Roach. Bookmark the permalink. ← One Night Only! Come One, Come All to The Great Nickelodeon Show!